Size: 15 oz, 445 ml. Reparative hand cream. By Lafco New York House and Home Collection. FRAGRANCE:Light, fresh and clean; an airy ozone fragrance that smells like clean air by the sea. Size: 15 oz, 445 ml. Reparative hand cream. By Lafco New York House and Home Collection. FRAGRANCE:Fresh, airy and natural; the scent of sea grass, sand, summer sky and the ocean. Size: 2.5 fl oz, 70 ml. 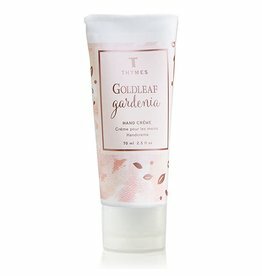 Goldleaf Collection by Thymes Home Fragrances Bath and Body Collections.